Stainless Steel Bar Supplier - 304 & 316 Stainless Steel Bar | Texas Alloys & Tool Co.
Texas Alloys carries stainless steel bar in the following shapes: round bar, flat bar, square bar, and hex bar. We also stock stainless steel bar in a number of grades that can be used for numerous applications. 304 stainless steel bar is primarily alloyed with chromium and nickel. Type 304 stainless steel bar is known for its corrosion resistance as well as its superior weldability. 304 stainless steel contains a minimum of 18% chromium and 8% nickel. Type 304L is similar to type 304 except that 304L typically contains a lower amount of carbon, though most material is dual certified to meet both specifications. 316/316L stainless steel bar is also made with chromium and nickel but has molybdenum added for improved corrosion resistance. It is a versatile stainless steel that can be used in high temperature situations and also has good cold forming and drawing properties. 316 bar contains a maximum of .08% carbon whereas 316L has a maximum of .03% carbon. Applications of grade 316 include the industrial, transportation, and construction fields. Both 304/304L and 316/316L are austenitic stainless steel. Most material is made to meet both 316 and 316L specifications. Type 303 stainless steel bar is also a chromium and nickel grade stainless steel that has phosphorus and sulfur added. It has superior machinability properties and machining parts are a major application. 416 stainless steel bar is primarily made of chromium and has phosphorus and sulphur added. It is a free-machining steel that is always magnetic. 416 stainless steel has a hardening range of 1750 – 1850 degrees, and an annealing range of 1550 – 1650 degrees. 630/17-4 is a versatile chromium and nickel grade steel that machines easily and forges easily. 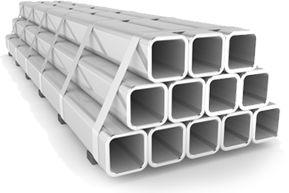 It also has excellent corrosion resistance and welding capabilities and is often used in applications where high strength is required. 440C is a carbon chromium stainless steel that is often used for pump parts in the oil & gas industry such as in needle valves and check valves. 440C stainless steel bar is magnetic and has excellent abrasion resistance characteristics in all conditions, but displays the best corrosion resistance when hardened.